Delhi is widely regarded as one of the busiest capital cities in the world and is well known for its crazy streets and bustling market places. But in the heart of all the mayhem lies an oasis, The Lodhi hotel. This tranquil city retreat, with 111 elegant rooms and suites, offers essential respite from the hustle and bustle outside and is the perfect place to rejuvenate. 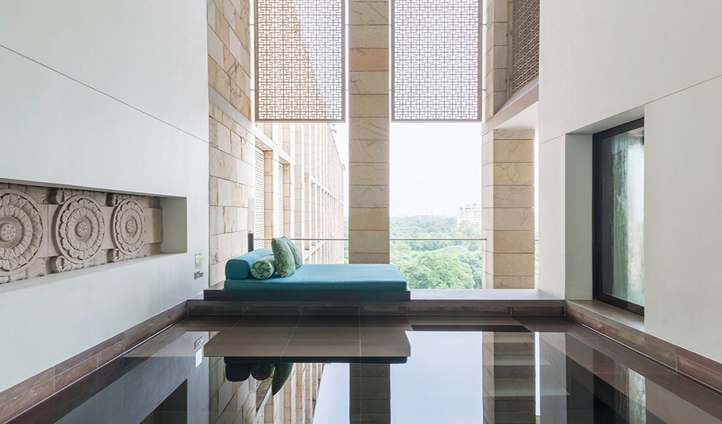 With luxurious rooms, a world class spa and mouthwatering cuisine, The Lodhi is the ideal choice for an Indian adventure. Just 10 minutes from the city centre, The Lodhi lies on the edge of Lutyens’ Delhi – an area named after the British architect Edwin Lutyens whose influence is evident throughout the neighbourhood. To reach The Lodhi, it’s a 40 minute drive through those famous Delhi strees from Indira Gandhi International Airport. This luxurious bolthole is then perfectly poised for exploring, with sights such as the Rashtrapati Bhavan, Lodhi gardens and Humayun’s tomb all just a stone’s throw away. The ever attentive concierge can also organise foodie tours of the markets as well as rickshaw tours through the streets of Old Delhi. The Lodhi prides itself on its ethos of ‘simple and easy luxury’ and the 111 rooms and suites are a true testimony to this. From the craziness of Delhi, escape to your own (not-so) little sanctuary for some much needed peace and serenity. As some of the largest rooms and suites in the capital, there is plenty of space to kick back and relax after a day of exploring whilst the combination of perfect lighting and sumptuous king-sized beds is guaranteed to leave you feeling refreshed and ready for another day. Our top tip? Go for one of the suites which feature their own private plunge pools as well as extensive balconies with views over the city or gardens. When it comes to resting world-weary muscles and rejuvenating the body and soul, there really is nowhere quite like The Lodhi Spa. Offering total tranquility, the wide range of spa therapies and rituals reflect The Lodhi’s vision of contemporary India blended with tradition. 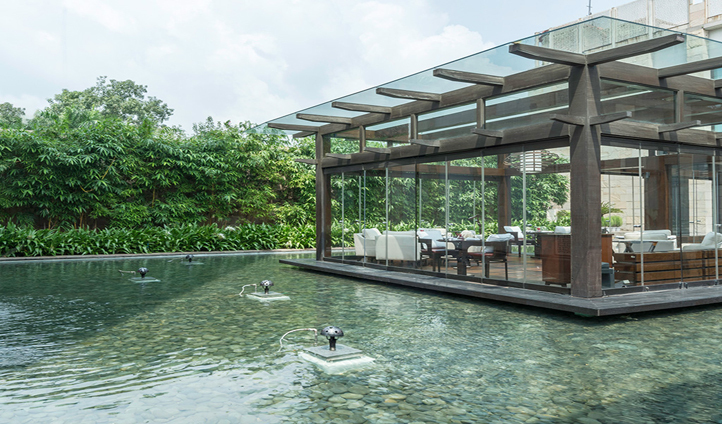 A true rarity in Delhi, The Lodhi offers three outdoor tennis courts as well as a 50m heated lap pool and technogym. For an energising start to the day, we recommend joining one of three expert yogis in the beautiful Lodhi gardens and saluting the sun as it rises over this enthralling city.